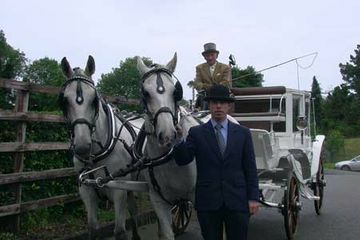 Sean Kilkenny Carriages has the finest carriages in Ireland, available for hire. 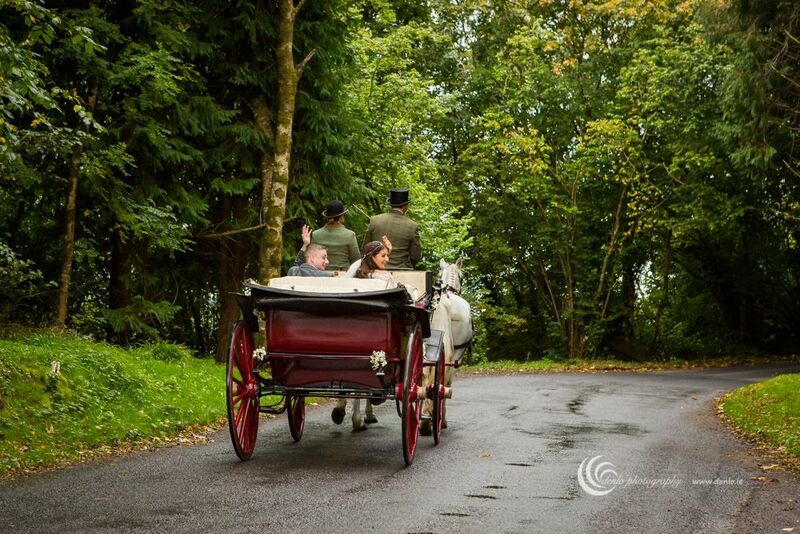 Why not give your next event a touch of old world class with a beautiful horse-drawn carriage. 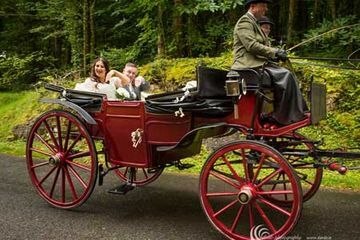 We’re the leading providers of carriages in Ireland. Boasting some of the best, most beautiful carriages and carriage equipment. Our carriages are ideally suited to weddings, funerals, walking tours, corporate events or any event where you need to travel in style and make a memorable entrance. 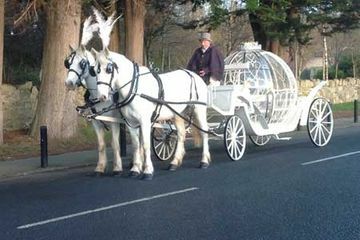 Our carriages are available for hire nationwide. Wherever you need a carriage we can accommodate you. Our stable has eight working horses that are kept and cared for to the highest standards. We invite clients to view our beautiful new showroom in county Clare to experience the elegant charm of our carriages and meet our friendly horses. On the happiest day of your life why not make the most memorable entrance of your life. Nothing quite says style and sophistication like a horse-drawn carriage. Take a loved one on their final journey in the most respectful and elegant way possible. Sean Kilkenny Carriages helps clients through this difficult time by taking care of the coffin transportation. Let Sean Kilkenny Carriages make a statement at your next corporate event or town festival with one of our ostentatious carriages. We’re available for first communion and any other milestone events. The flexibility of our service allows us to customise our carriage hire to meet the wishes and specifications of our clients. 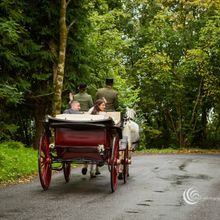 No matter where in Ireland you want a carriage, we’re able to accommodate you. 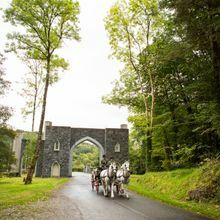 Why not see some of Ireland’s most scenic locations from the comfort of a beautiful horse-drawn carriage. We offer customer’s the absolute best equipment and the most beautiful carriages available in Ireland. Sean Kilkenny Carriages has at our disposable one of the only two real stagecoaches in all of Ireland. We’re in the business of making dreams come true and offer clients a completely unique method of viewing the emerald isle as It was meant to be seen. Do you want to make a bold statement at your next corporate event or function? Then whey not avail of our stunning Huntsmen and Hounds experience. 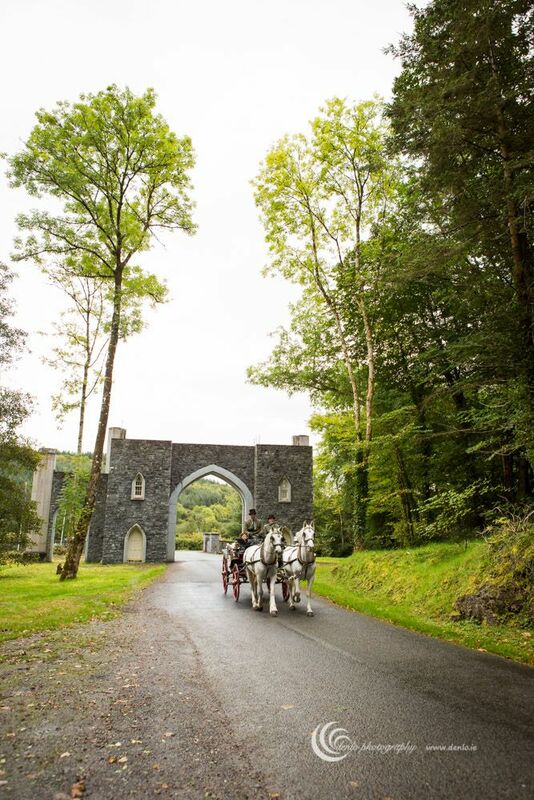 This memorable service involves the arrival of honoured guests – in one of our fabulous carriages – being greeted by a line-up of hunting hounds and horses, accompanied by huntsmen in full traditional hunting dress. This superb service is the ideal way to honour dignitaries or corporate executives. It adds a shine of old-world pageantry and elegance to any event and is sure to be a memorable occasion for all involved.